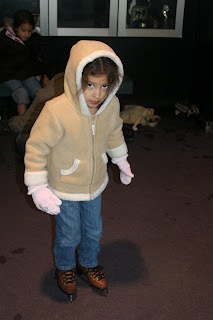 Silly Mommy : Ice Skating! I just unloaded roughly 350 pictures from our camera and have started the daunting task of going through them and picking which ones are "blog worthy" :) I've been meaning to blog for awhile, but this time of year just gets so crazy busy! We got back from our trip to Corpus Christi a few days ago and I still haven't put all the toys away, cleaned, and caught up completely on laundry! Not sure if I ever will....anyways, I'll start where I left off-Ella's birthday. 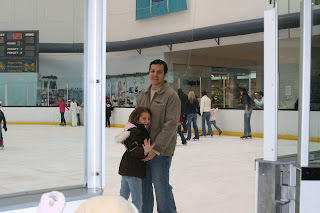 For her birthday, she really wanted to go ice skating. She had never been before, so we made her little dream come true. We weren't too sure how her and Aubrey would do. 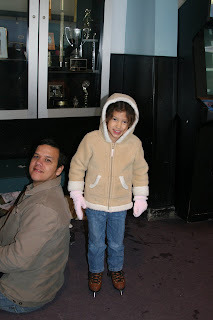 The last time we went to the rink was on Aubrey's 5th birthday, over two years ago! Aubrey asked to go for her birthday while Ella and I watched. This time it was Cali and I cheering from the side:) Both girls did so great and had so much fun. I loved watching their smiles. Here's Ella all laced up and ready to go! Ella and her Daddy Aubreys turn! Joey had to switch off with them. 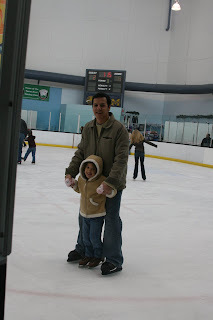 Hes such a good daddy and thankfully is a very skilled skater. I, myself, have never been ice skating and never will! I have the most horrible balance ever. I can barely roller skate, so I know I shouldn't attempt the impossible:) Cali cheering for her sisters It was a really fun afternoon! Both girls were really disappointed when we said it was time to go, so I guess that means they really loved it! I'm glad you enjoyed your birthday Ella! Those are some pretty cute pictures! 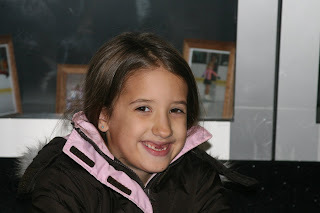 Glad Ella had a fun time ice skating. Wonderful pictures Holly! Looks like Ella had a great time. 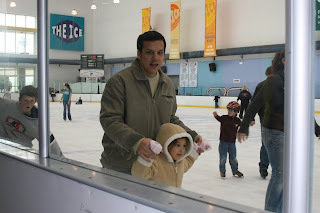 I used to skate all the time in the winter when I was a child, but haven't been on skates in years. Not sure my ankles could hold me up now!!! *PS - the laundry you will always have with you. I think it's like an eleventh commandment or something. You never catch up . . . ever! I grew up ice skating so I loved seeing this post. Fun times -- you guys really do a lot of fun stuff together. cute pictures! ice skating is so much fun! Ella looks like a pro already. Aubrey looks like you enjoyed your day as well. Cali your simply too cute, possibly thinking when is it my turn~soon Cali soon. Good job mom and dad these are the best memories you are created. 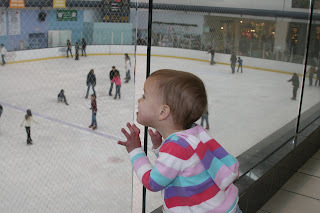 So fun - Savy wants to go ice skating so bad - wish we lived close to a rink! Guess another reason we need to move to Texas!